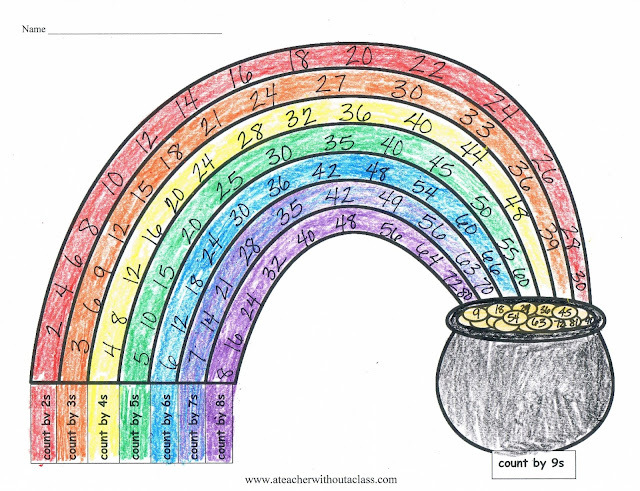 A Teacher without a Class: Skip Counting Over the Rainbow!!!! I just love skip counting! I think it is great fun--a wonderful way to prepare for multiplication. It is just a great way to do mental math! So, with that in mind--I was trying to think of a way to make it fun with those little leprechauns that are coming just around the corner! I also made a poster the leprechauns skipping their way across the rainbow. The students will put the rainbow together by skip counting 2s-9s. The template for the skip counting rainbow can be found on my google drive! I've made many of these over the past year! You can find this on my google drive as well! 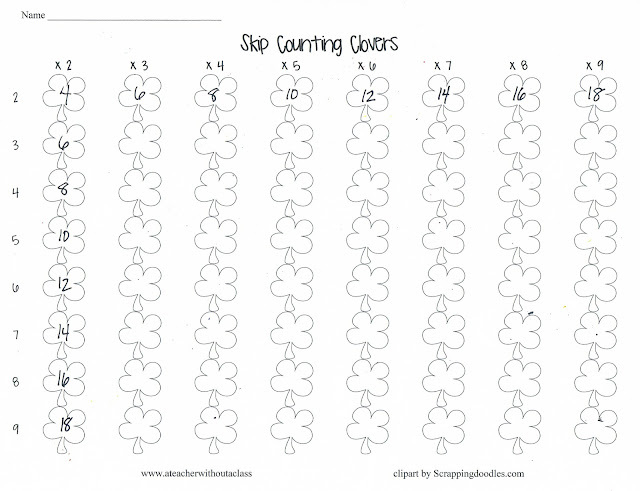 Happy skip counting your way to knowing your multiplication facts!